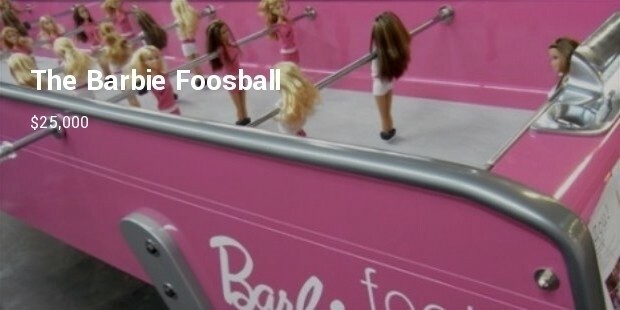 The creation of a football supporter that quite literally became a game changer, Foosball is one the most passionately played games around the world. From pubs to charity events this game is a memory maker. 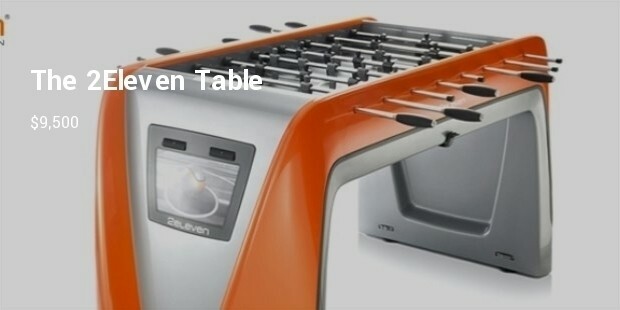 A modern stadium inspired table with state of the art software that controls it’s special lighting effects. 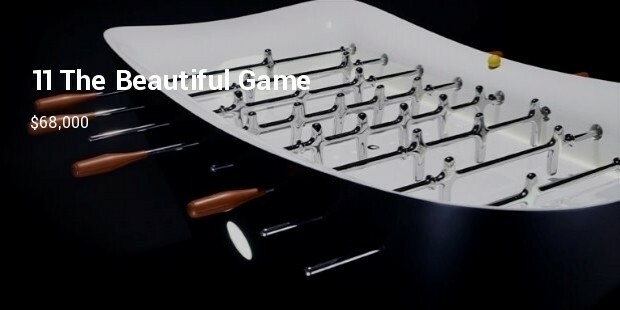 The players are hand-crafted and dipped in a chrome finish after which each is assigned a number that is embedded on the surface. 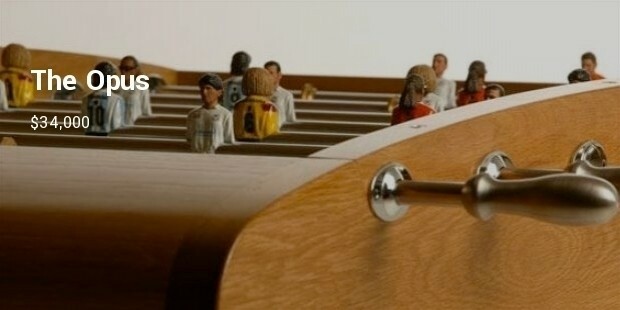 There are 11 players for each side of this Foosball table. Made from high quality oak, ash, walnut and mahogany each piece of the opus is hand crafted in etched glass. The old fashioned wood makes it a timeless masterpiece however the stainless steel legs and handles add a modern flare. The players can be customized to look like you, your family or even your friends. 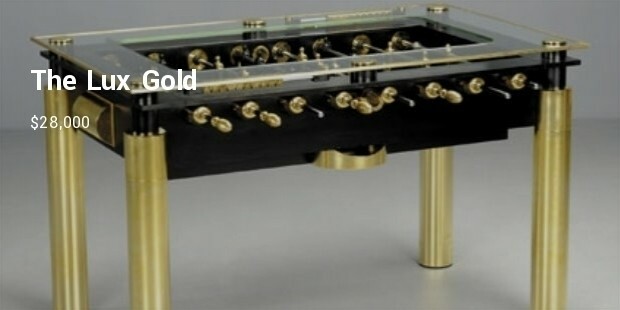 This sophisticated heirloom item made with materials such as unbreakable glass and stainless steel comes with legs that are encased in Gold. 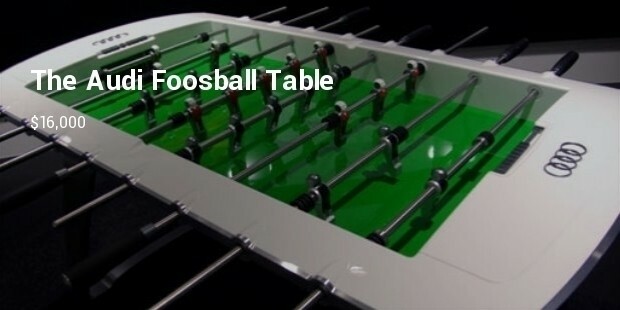 You can customize the accents of the table and the style and material for the players. 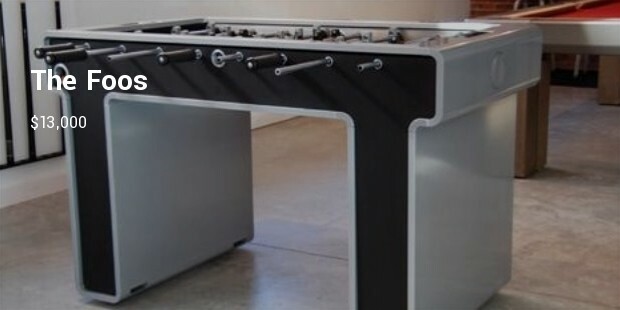 At 600 pounds this is one of the heaviest Foosball table ever made. The carbon fiber surface below the lightweight players offers the ultra smooth gliding experience. The well balance players are supported by precision ground rods. 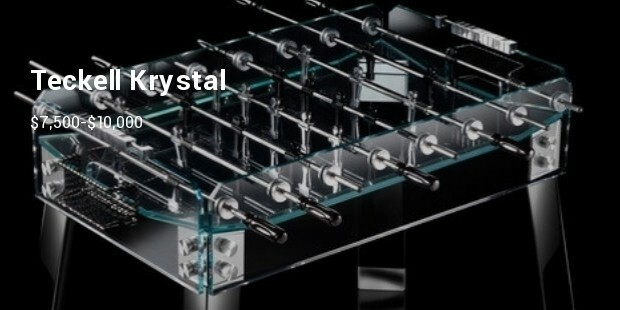 These high quality collector’s tables offer the best experience of playing a game loved by billions, if you can afford them. Some of these were made in small numbers and so their value increases with time.